A puncture wound is a traumatic injury caused by an object piercing the skin. This can be a superficial wound or a deep wound that penetrates into the tissues and organs beneath the skin. Causes of puncture wounds can include any sharp object, such as splinters, nails, scissors, glass fragments, or knives. Signs and symptoms of a puncture wound depend on its location and severity. Common associated signs and symptoms are pain at the site of the wound and mild bleeding. In some cases, infection may set in and lead to additional symptoms like swelling, drainage of pus, warmth, and redness of the skin. 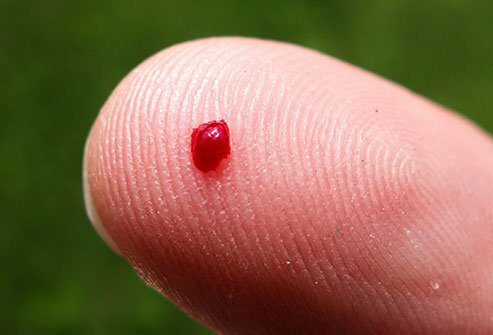 Some puncture wounds may cause significant bleeding or loss of sensation or numbness in the affected area. Puncture wounds usually cause pain and mild bleeding at the site of the puncture. It is usually fairly obvious if a person is cut. However, small pieces of glass may cause puncture wounds that a person may not notice at first. Infection may cause redness, swelling, pus, or watery discharge from a puncture wound that is not noticed or not treated properly.